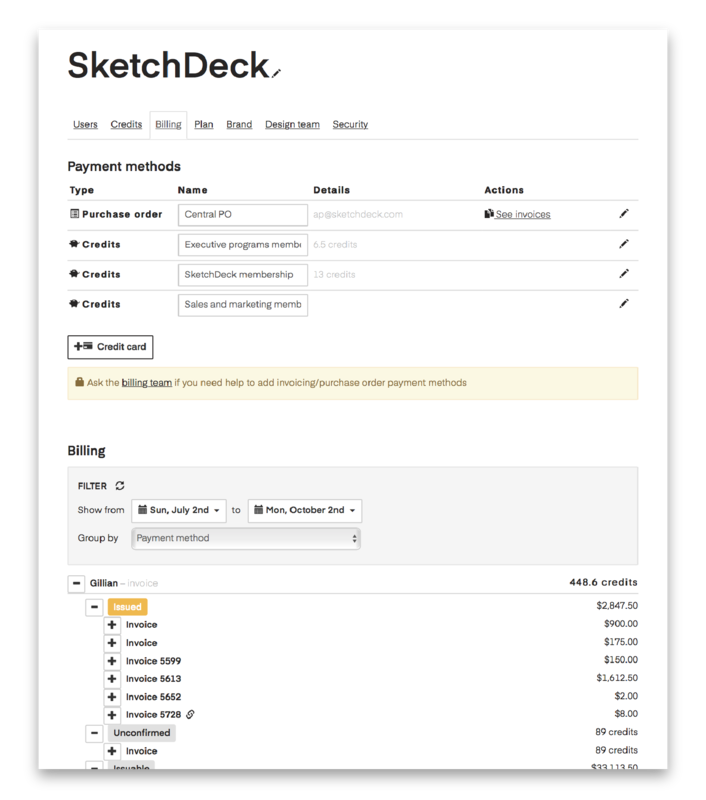 We've received a lot of feedback to make our billing simpler, so this month we're excited to announce a big change to help simplify your invoices. 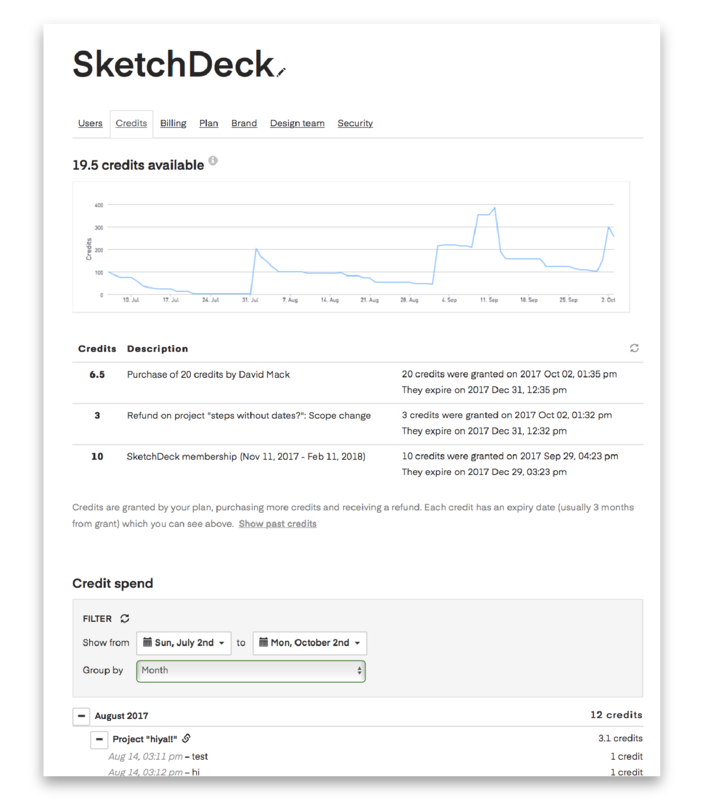 This means that when you place a new project, go into overage on a project, or request "design by the hour", that work will be paid for using your credits. There will be no project related line items on your invoices. If you run out of credits, you can easily buy more through our platform. How do I pay using credits? Simply choose your preferred credit pool when starting the project. If you run out of credits then the platform will prompt you to buy more. You then select the number of credits you'd like to purchase. Once you press confirm, the credits are instantly available for you to use. It's always cheaper to buy credits on a plan, so if you regularly need to purchase extra credits you should talk to your account manager about upgrading your plan. What about "design by the hour"? To make sure your design team can get paid, we require a minimum balance of 5 credits before sending back "design by the hour" projects. The platform will prompt you to purchase credits if necessary. 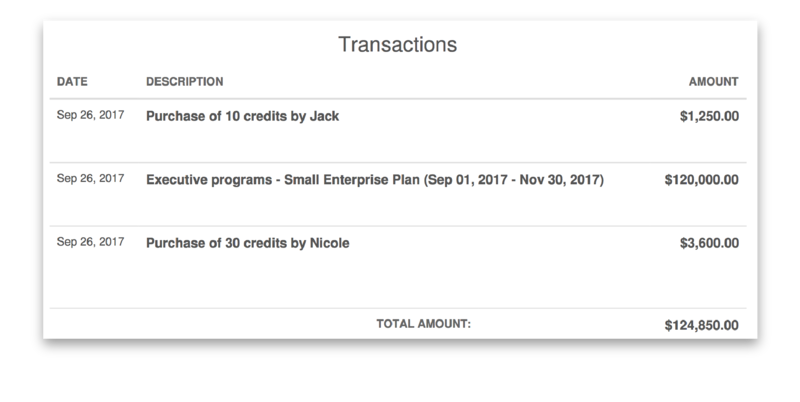 ‍How do I see how many credits I have and how many I've spent? 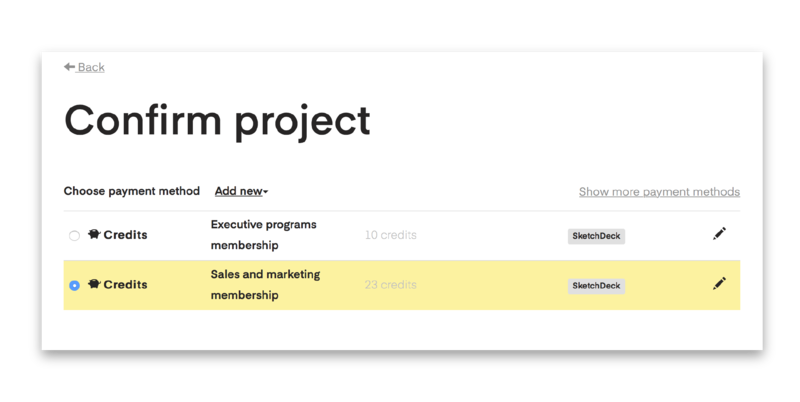 Check out your organization's credits tab. How do I see what I've been billed? Check out your organization's billing tab. What will my invoices look like? You'll receive an invoice once a month. You'll see your regular plan charge (annual, quarterly or monthly) and any credit purchases that occurred over the last month. I'm not yet on a membership or pilot, how do I pay? You'll be asked to enter a credit card when starting a project. We hope this gives you everything you need to know about our billing updates - if you have anymore questions, feel free to email the team.